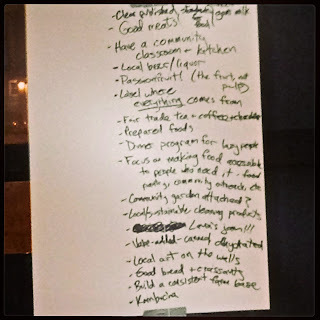 Kelly's Kitchen: Support the Chicago Cooperative! Many of us have ideas constantly bouncing around in our minds that we don’t know how to turn into reality. I am most certainly a victim of this and I look up to those people who are brave and courageous enough to take a risk and follow their hearts. One of those people is Greg Berlowitz. 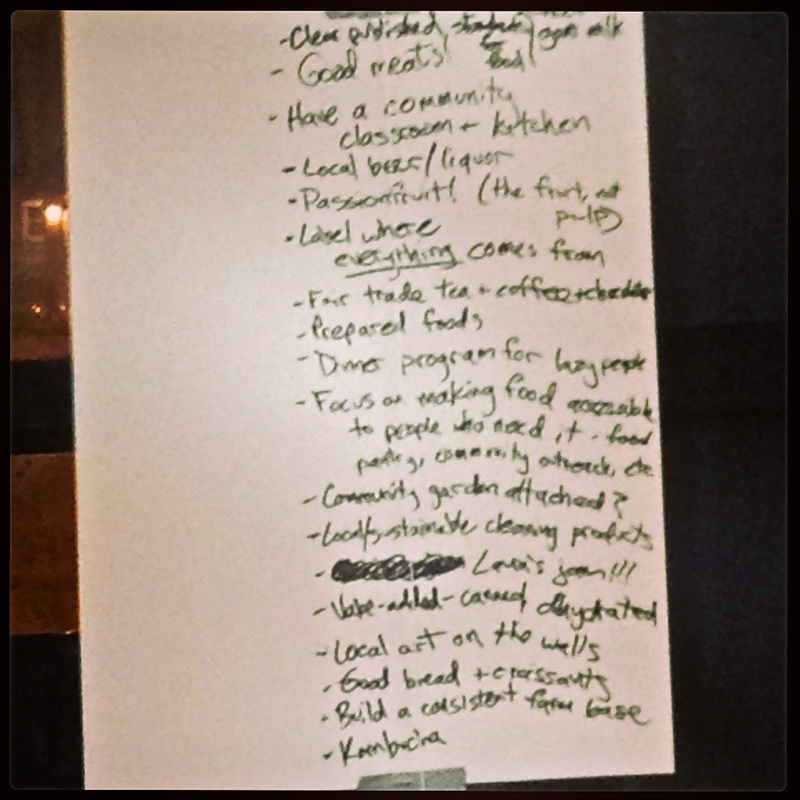 He is attempting to fulfill many of our dreams to create an accessible cooperative in the northern part of Chicago. His dedication is tremendous and was clearly shown Wednesday night in his kick-off meeting where he conducted a group activity and brought in speaker Clint Popetz, former chairman of the board of the Common Ground cooperative in Champaign Urbana. He couldn’t have been more honest and up front with the amount of time and energy that will be needed to make this a success and, despite that, couldn’t wait to get started. Group activity where we all write our ideas for everyone to see! A cooperative gives us the opportunity to decide what goes into our grocery store and establish the price of the goods sold. It is unique in that the members of the cooperative own the cooperative. The members elect the board and the board establishes the policies of the co-op. The board then hires a General Manager to implement policy with their supervision. Many products you will find at a cooperative are local, organic, sustainable or a combination of all of these. The profits go back into the cooperative and often members shop at a discounted price. While the community is what keeps a cooperative operating successfully, membership isn’t required to shop there. 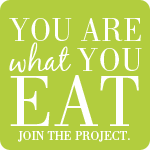 As a local food advocate, I couldn’t be more excited to become an active member of this project. Although I am more of the uneducated but eager type in this instance, he has assured me that this is, in fact, OK. He attended a conference in Bloomington over the weekend and says: “At the conference, which was supported by national organizations which support co-ops and are taught by veteran co-op builders, we were reminded that we aren’t reinventing the wheel. There are established steps we will take and demonstrated processes we will undergo to build a strong organization and then an inspirational food co-op.” Greg welcomes any and all levels of commitment, ideas and questions you may have. There is another meeting this Thursday, March 7 at 7:30 at the Sulzer Library on 4455 N Lincoln Ave. If you have even an inkling of interest in learning about a cooperative or becoming a part of a great opportunity, I really encourage you to stop by and talk food with everyone!